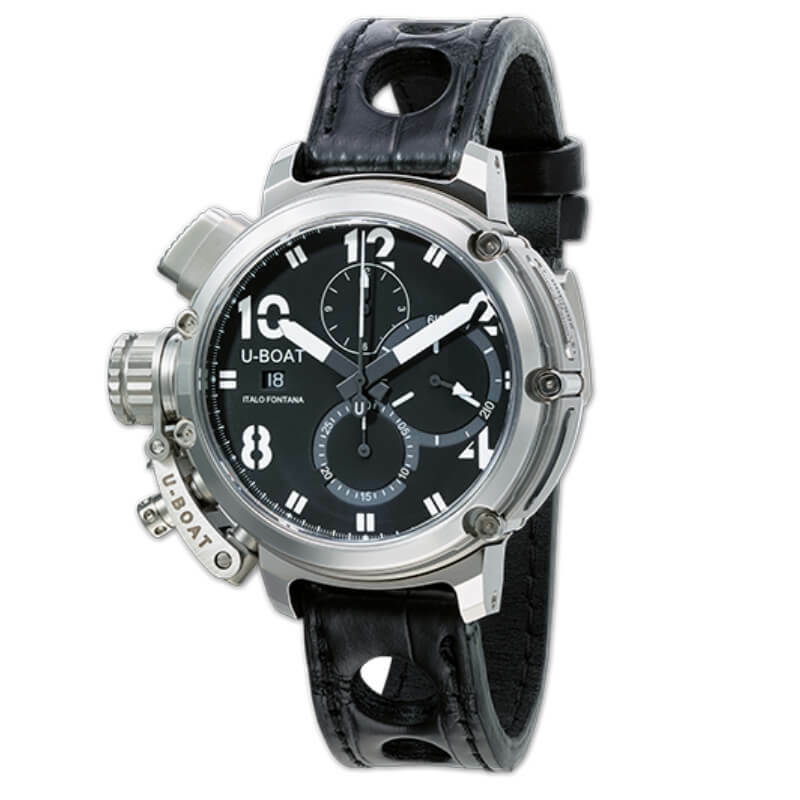 AISI 316 Plus stainless steel, 46 mm diameter, 54,50 mm diameter including external crown-clutter. The bezel and the back of the case are locked together by external tubing and a customized key that ensures absolute water-proofing. Personalized rotor, in silver, build with a base and 3 bridges fixed with blue screws. Case with a side window, with a fumé sapphire glass which allows the movements view. Hand made and hand finished alligator, black, 3 circular cuts out. Width: 20/20 mm. Tongue steel buckle, hypoallergenic and color retain treatment.